Cebek I-104 is a mains operated light detector module, with separate light dependant resistor as a detector. 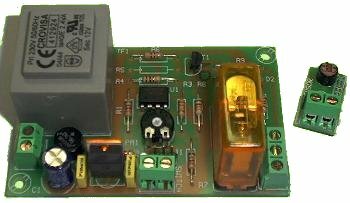 The relay will operate when the level of light exceeds (Make on Rise) the level set by the PCB mounted potentiometer. Operating light level can be adjusted between 25 and 130Lux.